Kid vs. Kat is a Canadian-American animated television series developed and produced at Studio B Productions. The show was created and co-directed by Rob Boutilier. The series is distributed by Studio B Productions. The feature revolves around a 10-year-old boy's constant battle with his sister's Sphinx cat which, in reality, is a cybernetic alien. 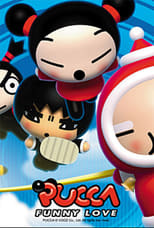 The show premiered on YTV in Canada on October 25, 2008, aired on Disney XD in the United States on February 21, 2009, and then ended on June 4, 2011. It ran for 2 seasons, spanning 52 episodes. A good show for kids, starts with a boy named Coop living with his sister, Milley and their dad. His life turns upside down, when his sister brings home a stray cat. Coop finds out that the cat is an evil alien, that wants to take over the world. The cat tries taking over in a lots of ways while Coop with his friend Denise tries to stop the cat's evil plans. He tries proving that the pet his sister has is an evil alien scheming to take over humans . On the way whole, the series revolves around the cat and Coop fighting each other and is fun and action filled .